When the theme for April’s Progressive eats was announced, I imagined myself making a Dacquoise or a Mille-feuille. Having already made the Gateau Opera a few dozen times and enjoyed the Croquembouche challenge with Jenni, I was ready to make a switch and make something else. The decadent Dacqupiose was tempting me. But then I thought, I do need to go out of my comfort zone and make something new and something that showcases the sublime beauty of regional French Cuisine. I am really proud of the Tarte á l’Oignon – French Onion Tart. You may ask why. After all it is just a pie, some might say. I know. But if you asked my friend Barb @ Creative Culinary, she would tell you how utterly terrified I was of making pies. She was also amused and told me on certain occasions that I was being silly since I was someone who didn’t blink before taking on complex desserts and was terrified of a pie. So she took on the mantle of a mentor and called me over and we baked pies. And I was allowed to use her Grandma’s rolling pin too. The good thing about pies is that they are simple. And that’s what is terrifying too. I think simple dishes should be executed flawlessly because they rely on technique more than anything else. 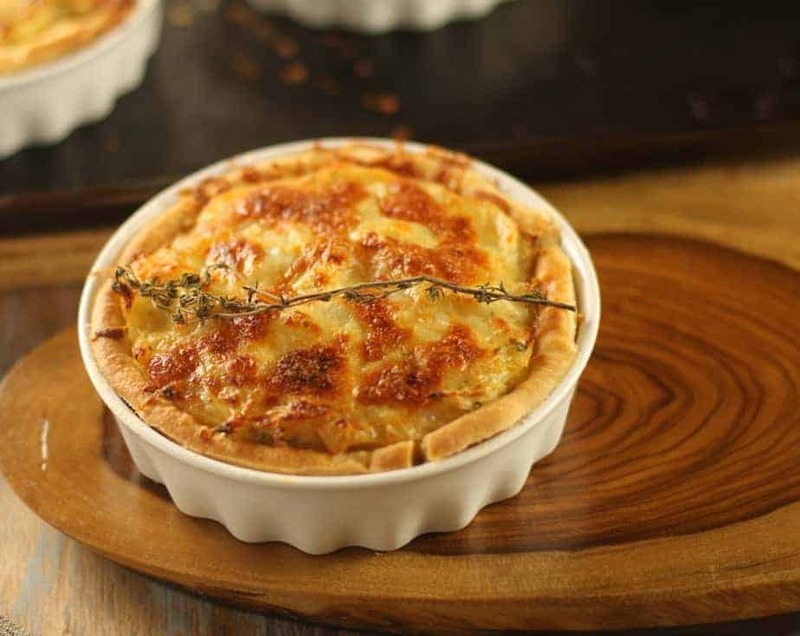 Today’s Tarte á l’Oignon – French Onion Tart is the Appetizer course for Progressive Eats. I hope I made my friend and teacher proud. And I am really thrilled with this. I did it! Caramelized onions, cooked slow and long to coax their sweetness out, freshly made dough for the base, a touch of salt and pepper, a few eggs, a little cheese and a sprig of thyme. Ingredients that you probably just have on hand. Why not give this a try? If I can do it, anyone can! Honest! Have a taste of the French Cuisine with my Progressive Eats friends and see what they have cooked up. Blend together flour, butter and salt in a bowl with your fingertips or a pastry blender or pulse in a food processor. Mix until most of mixture resembles coarse meal with some small (roughly pea-size) butter chunks. Gradually add in ice water and gently stir with a fork (or pulse in processor) until incorporated. If the pastry holds together, it's ready. if it doesn't add a bit more water and work it in. Be sure to not overmix the dough. Gather dough together and flatten into a disk. Wrap in plastic wrap, chill until firm, at least 1 hour. I made three smaller tarts out of the dough, but you can simply roll it out to cover a 9 or 10 inch tart pan. Partially blind bake the tart shells for about 10 minutes ( I had three small so it took lesser time) at 400*F. You may need more time for a bigger tart shell. Preheat the oven to 425ºF. In a heavy pot combine olive oil, butter, sliced onions and salt. Sautee the mixture until it starts to sizzle, then turn the heat down to a simmer, cover, and cook for 30 minutes, stirring occasionally until the onions are sweet and caramelized. Add in pepper to taste. Combine eggs, milk, creme fraiche with onions. Spread the onion mixture on top of the partially blind baked shells. Top with cheese and a sprig of thyme. Bake in the middle of the oven for 30 minutes or until the top is golden brown. 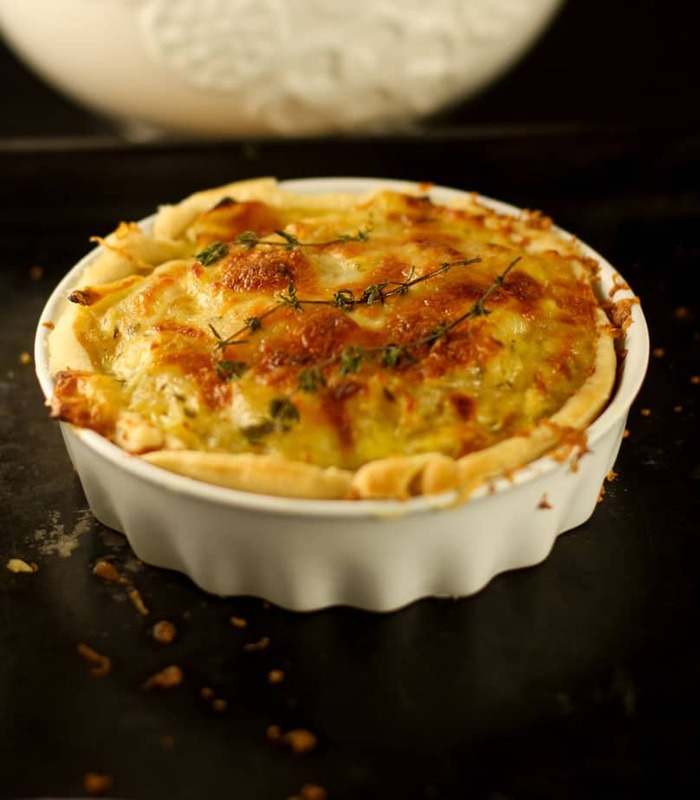 I love a classic french onion tart and definitely am wishing for one after seeing this post. This looks like perfection! Yummo! Love this dish. Never made it, though — only had it a couple of time at restaurants. Thing I ought to do it myself? I do! Thanks for this. Anshie, this is perfection! 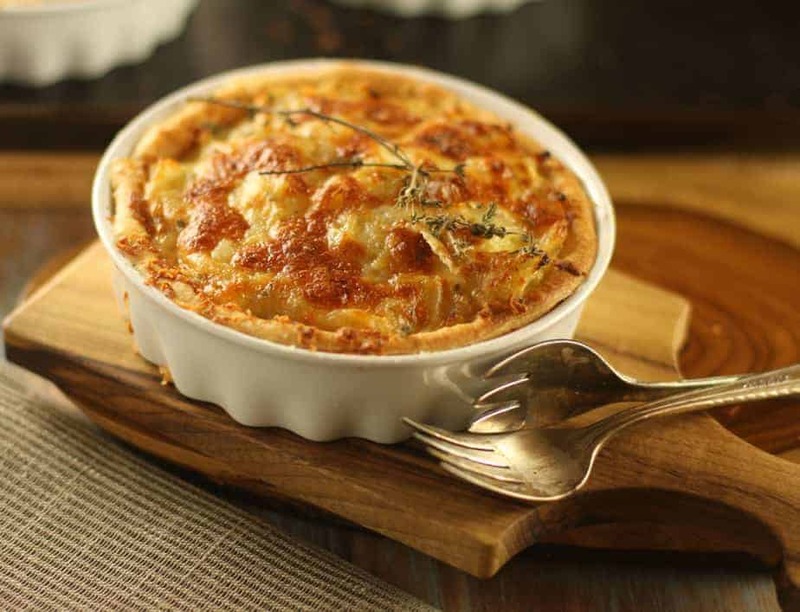 Gloriously browned, shatteringly tender crust and filled with the most perfect flavor of France. You have outdone yourself! I am so happy your conquered your fear of pie and triumphed so marvelously! Barb is a great teacher and when it comes to pie crust, being able to watch someone make it and have them guide you is the best way to learn. Kudos to you both. What a stunning tart! I’m a bit intimidated by pies and tarts too so I am so inspired by you. What a wonderful addition to our menu this month. A fabulous way to start our progressive dinner. Looks like you’ve mastered pie. 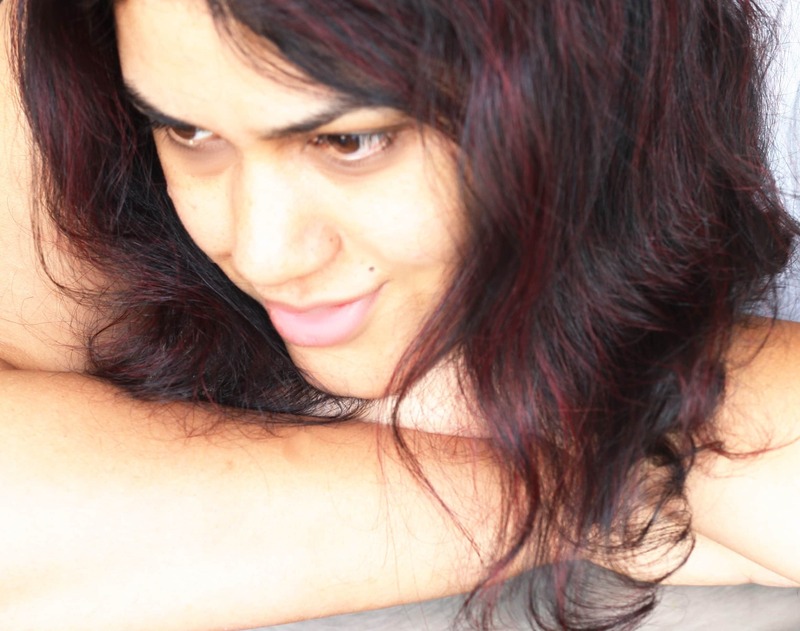 Perfection, Ansh! And I so agree with you: simple is sometimes the hardest to pull off. I think you succeeded brilliantly here. And hooray for your tackling pie and for Barb for helping you! What a marvelous way to kick off our French meal! 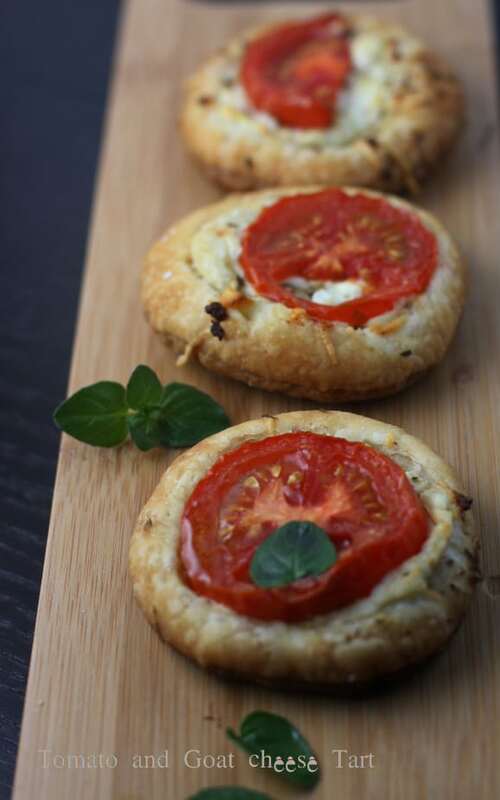 Your onion tarts are picture perfect!! !